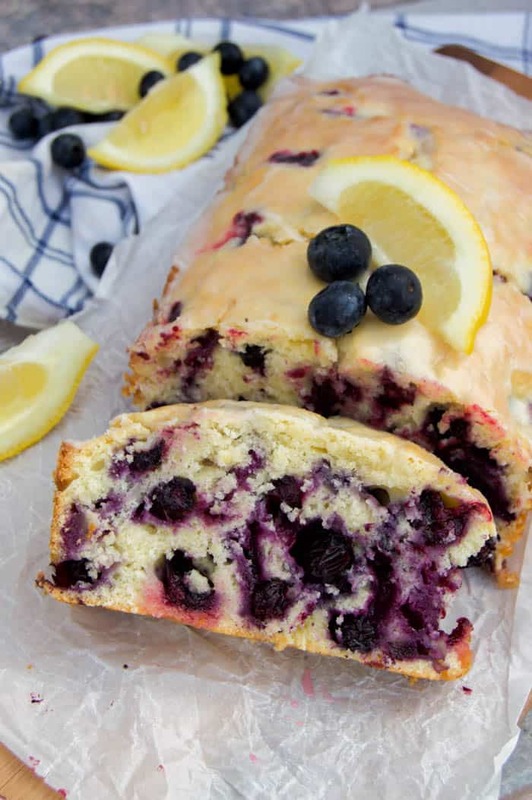 Full of the best summer flavors this Blueberry Lemon Loaf is simple to make and taste great. It’s even topped with an amazing lemon glaze. I love fresh fruit in the summer. We love close to several farms and love to go picking for fresh fruit, it’s one of my favorite early summer activities and the kids look forward to it each year. 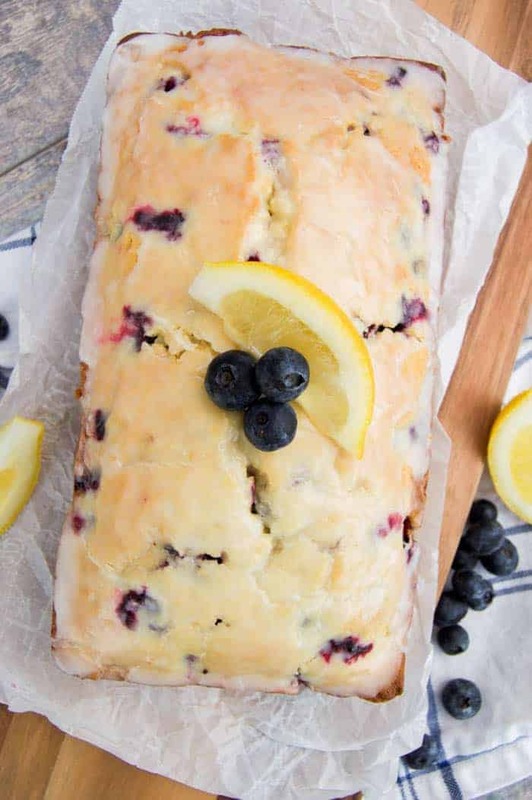 My kids could eat blueberries like they are going out of style but I was able to keep a few to make this Blueberry Lemon Loaf and I don’t think they minded! Start by preheating oven to 350 degrees F and preparing your loaf pan. 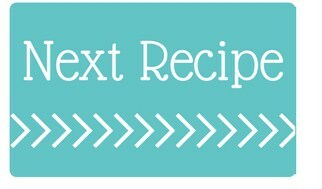 Next you want to add the flour, baking powder, and salt into a mixing bowl. Whisk together and set aside. In a stand mixer or with a hand mixer cream together butter and sugar. To that add in the lemon zest and eggs and mix again. Now add in the flour mix to your butter mix. Add a little at a time alternate between flour and buttermilk until all ingredients are well combined. And last fold in blueberries and pour batter into the prepared bread pans Bake for 60-65 minutes. Or until bread is fully cooked and a tooth pick could come out clean. While bread bakes prepare glaze by whisking all ingredients together. Once bread is baked remove it from the oven and place on a wire wrack. Pour glaze over and allow to cool until glaze has set. Serve and enjoy. I love using fresh blueberries but if they are out of season frozen can be used. You want to thaw the blueberries first. Place them in a strainer and rinse them with cold water. Pat dry then add them to your recipe. The best way to thaw frozen blueberries would be to place them in the fridge over night. Otherwise you can place them in cold water to thaw in the bowl. Blueberry Pancakes: Warm blueberry pancakes with a sticky sweet homemade blueberry syrup. Blueberry Cream Cheese French Toast Roll Ups: This simple breakfast recipe is one of my favorites. It’s so simple to make and I usually have all the ingredients at home anyway! Blueberry Spinach Smoothie: One of my favorite smoothie recipes and the only way my kids will eat spinach. Preheat oven to 350 degrees F. Spray a bread pan with non stick cooking spray and set aside. Add flour, baking powder, and salt into a mixing bowl. Whisk together and set aside. In a stand mixer or with a hand mixer cream together butter and sugar. Add in lemon zest and eggs and mix again. Add in the flour mix to your butter mix. Add a little at a time alternate between flour and buttermilk until all ingredients are well combined. 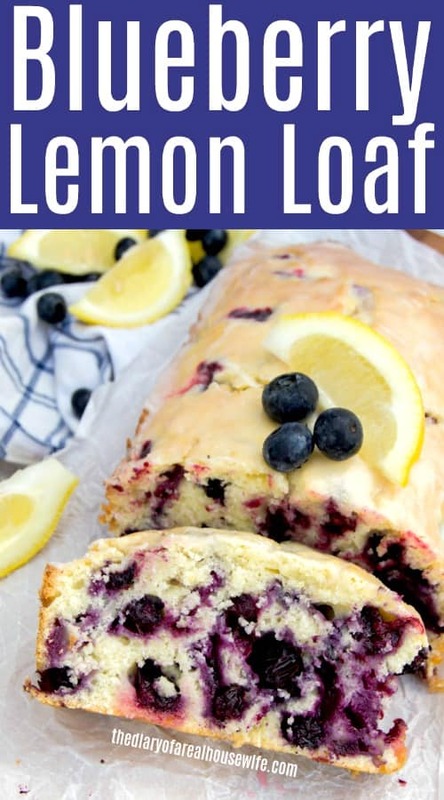 Fold in blueberries and pour batter into the prepared bread pans Bake for 60-65 minutes. Or until bread is fully cooked and a tooth pick could come out clean. While bread bakes prepare glaze by whisking all ingredients together. Once bread is baked remove it from the oven and place on a wire wrack. Pour glaze over and allow to cool until glaze has set. Serve and enjoy.